The deadline to make changes to your Medicare plan is quickly approaching. December 7th, 2013 is the last day you are able to make changes to your Medicare plan during open enrollment. If you do not make a change to your plan, you will continue to receive the same plan you had in 2013. This may or may not be a good thing. There are many changes, especially to Medicare Advantage Plans for 2014 including which doctors remain in the plan. United Healthcare has limited the physicians in their plans, meaning specialists you have seen in the past may no longer be in network. You may also notice significant co-payment increases to see your primary care doctor and hefty charges of up to $50 a visit to see a specialist. Taking the time now to find the best value is a smart move. Medicare.gov has made it easy for Social Security recipients to determine what is the best plan for an individuals needs. Not taking the time to review these changes now could cause a signficicant increase in medical and prescription costs in 2014. By visiting Medicare.gov and entering your zipcode, you can quickly see what plans are available in your area. To customize a plan for you, make sure to have your current prescriptions and a list of physicians available. You can then enter in all of your medications as well as a list of current doctors and hospitals that you prefer. compare and you can view them side by side. This is a helpful feature that makes it easy to compare each plan. There are less options for PPO’s which give each Medicare recipient more choice in who they see for care and more HMO’s which require the primary caregiver to be the gatekeeper. You will also find that the popular Silver Sneaker plan that allowed you to join a health club for free is not available in many options. Now to receive this benefit, most insurers are requiring you switch to an HMO. Regardless of the choices available, it is imperative that you review your plan and pick what best meets your needs. 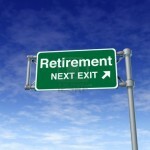 You can also reach Medicare directly at (877) 486-2048. 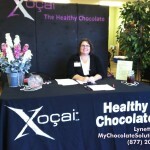 I am Lynette Henk, XO Healthy Chocolate consultant. I get paid to share cold pressed healthy chocolate with others. Cold pressed chocolate is not heated or dutched like traditional candy chocolate. It does not have the waxes or fillers like traditional chocolate, is diabetic friendly, diet friendly and a high antioxidant treat. All XO product antioxidant values are verified regularly by Brunswick Labs, a company that the government has used in the past to verify antioxidant value. I get my antioxidants in chocolate. How do you get yours? Contact me at 941-216-5727, at [email protected] or at MyChocolateSolution.com. PreviousWhat Has Stopped You From Your Dream Of A Successful Home Based Business? NextSearching For Nuggets in Naha Japan?